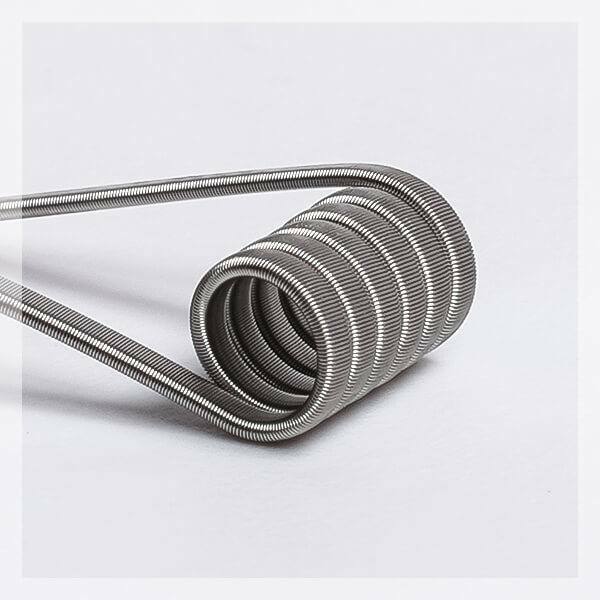 Geek Vape proposes a box of 8 coils in Nichrome 90 and Nichrome 80, accompanied with a frame to install the coils. Composed in Nichrome 90 and 80 have excellent rapidity to heat, without parasitic taste. The coils have a diameter of 3mmand 6 spires. 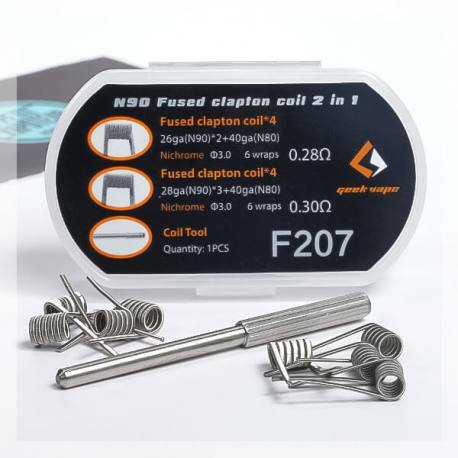 The N90 Fused Clapton Coil 2 in 1 are made by Geek Vape. The box of N90 Fused Clapton Coil 2 in 1 Geek Vape proposes 8 coils prepared entirely in Nichrome 90 and Nichrome 80 for excellent reactivity and extended heat distriution. 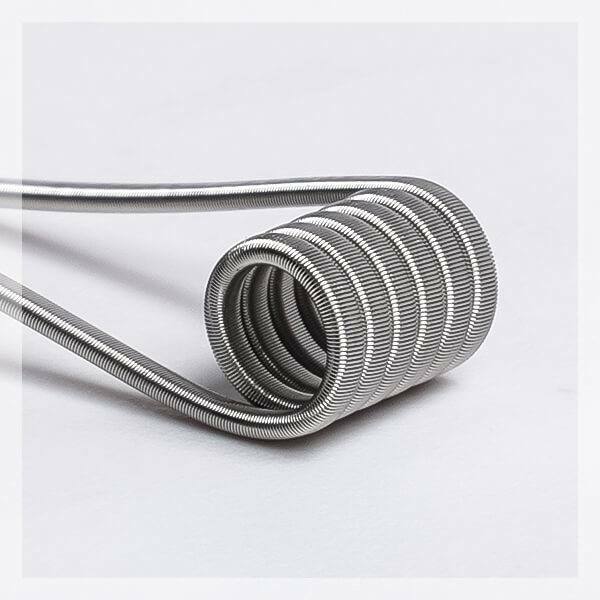 The Nichrome 90 has a compostion in 90% Nickel and 10% in Chrome. A frame of ø3 mm allows you to center the coils for easy utilisation on the assembly plate.